In a small Oregon town, a hunky guitarist called Jody Pearson (Bill Thornbury) is singlehandedly bringing up his teenage brother Mike (A. Michael Baldwin) following the death of their parents. After Mike witnesses the local undertaker (Angus Scrimm) lift a fully laden coffin into the back of a hearse, it’s not long before the siblings fall into a mystery concerning a spate of deaths and the aforementioned ‘Tall Man’ running Morningside’s funeral home. So, with the help of Jody’s best friend Reggie (Reggie Bannister), a balding ice cream man and aspiring musician, they unite to stop the malevolent mortician. Phantasm works from a slim idea that doesn’t make complete sense, although attempting to follow its dream logic is part of the appeal. 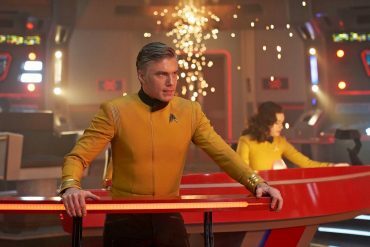 But it struggles with a low $300,000 budget, a screenplay rewritten over the two years of filming, and average performances from actors sometimes half-improvising their scenes. Even Scrimm (one of the most professional actors on set) can’t deliver his first line without pulling a regrettably hammy expression. Seeing two small-town brothers investigate a creepy undertaker they suspect of murdering people, is a decent setup for any horror movie, and Thornbury and Baldwin have a screen relationship that feels genuine. The subtext that Mike feels he’s about to be abandoned by his big brother, and the anxiety over losing family in general, also works in the movie’s favour. In many ways the Tall Man represents the great mystery of what happens after death, but more to the body than the soul. As anyone who’s experienced a death will know, at least in western culture, a veil descends on specifics about what morticians and undertakers actually do to your loved-ones corpse, and it’s in that unsettling grey where Phantasm weaves some magic. And, to his credit, Coscarelli’s script has no intention of taking audiences down a predictable path. Indeed, events take an avant-garde direction that explains why Phantasm becoming a cult favourite of the VHS-crowd in the 1980s. For example: while it’s inherently suspenseful seeing someone walk around a silent white marble mausoleum, adorned with blood red curtains, it’s also a situation you’d expect from a cosy Hammer Horror of the 1960s. But when one of Phantasm’s iconic metal spheres flies into someone’s forehead, drills into their skull and farts blood out its backside, you definitely sit up and take notice! 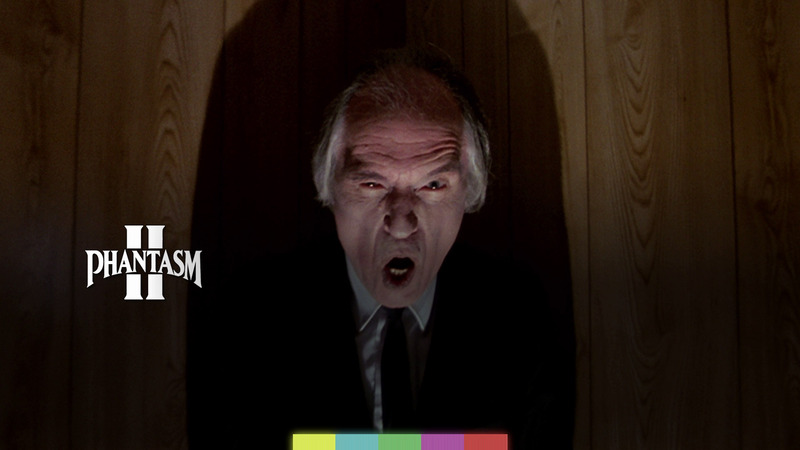 Phantasm has enough bonkers ingredients like that to keep you on its hook, aided by the visual appeal of seeing Scrimm scowl and yell “boy!” Scrimm, the face of the whole franchise, even manages to appear menacing in broad daylight. Phantasm is unfortunately a movie that’s mostly a very slow build towards a fairly average climax, with not enough happening in the middle. It keeps to a leisurely pace, creating a lovely thick atmosphere as a consequence, but the second act has nowhere to go once Mike convinces his brother that something otherworldly’s happening (after producing a severed finger soaked in yellow blood). Due to the homespun production, characters rarely behave plausibly (dialling 999 would require more actors to play the investigating cops), so there’s a noticeable lull before the brothers and Reggie break into The Tall Man’s sanctuary and find his portal room to an alien desert. The world-building Coscarelli puts into the narrative is largely why Phantasm still works and maintains your interest. Asking questions and being hesitant about answering can be agonising, but also very effective in the short-term. It takes awhile to reveal why The Tall Man might need corpses, we never learn the full extent of his powers, or even where he comes from. The movie answers a few questions, but they always provokes more. 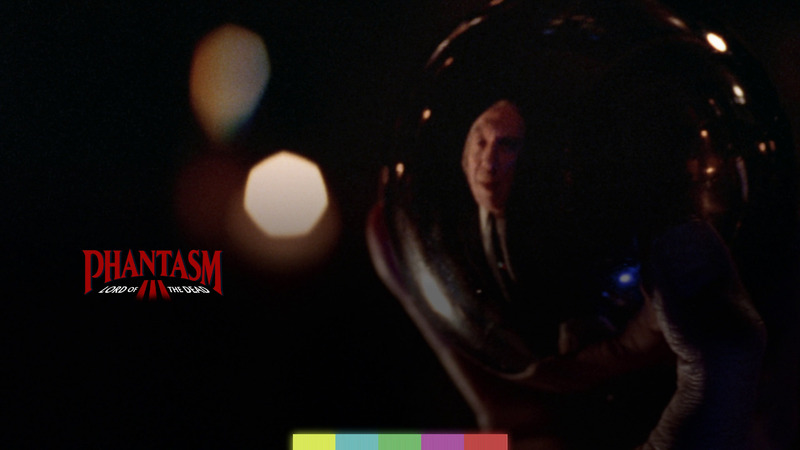 While there are a few unnerving sequences and images (the best being a dream where Mike’s bed appears in the graveyard, then gets attacked on either side by dwarves erupting from under the ground), Phantasm isn’t an especially scary movie. It’s memorable because of the arthouse outlandishness that refuses to give way to predictability, and that all remains a fun viewing experience. Original mono audio & new DTS HD 5.1 surround sound mix. The Los Angeles Premiere Experience. Time-lapse footage of ‘phans’ attending the premiere of Phantasm’s restoration in 2016, overseen by the Bad Robot production company (founder J.J Abrams is a big fan of the movie and cites it as a huge influence on his work). It’s not a very exciting start, but then it segues into a separate audio track where you can watch the movie while hearing the L.A crowd’s reactions playing through your speakers. That’s very cool. More movies should do this, especially comedies, as it’s a fun way of making you feel part of a big cinema audience — whooping, cheering, and gasping throughout. There’s also the full Phantasm Q&A panel afterwards to watch. Audio commentary with writer-director Don Coscarelli and actors A. Michael Baldwin, Bill Thornbury & Angus Scrimm. Introduction by Angus Scrimm, which you can choose to play before the movie begins, originally filmed for Phantasm’s Special Edition LaserDisc. Reflections of Fear: Realising Phantasm. In this new ‘pheaturette’, the cast and crew discuss their experiences with the franchise and how it’s impacted their lives. It features interviews with Don Coscarelli, A. Michael Baldwin, Reggie Bannister, Kathy Lester, and Phantasm: Ravager director David Hartman. Q&A panel from the 2016 Austin Premiere of Phantasm: Remastered. 1979 TV interview with Don Coscarelli & Angus Scrimm. This is entertaining and arguably more insightful because it was recorded before the film went on to become a cult favourite. But it’s mainly entertaining for the opening remarks by Scrimm to the interviewer, as he comes across like a complete fruitcake. I sincerely hope this bit was rehearsed. 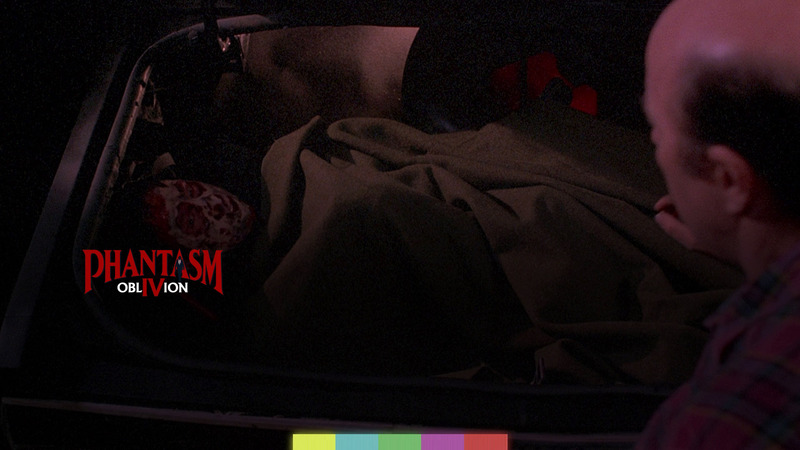 Behind-the-scenes with optional audio commentary by Don Coscarelli & Reggie Bannister. Phantasm: Actors Having a Ball. The Phantasm cast and crew offer their recollections from the making of the film. Uh, again. Original Trailer, TV & Radio Spots. Phantasm II has an opening that accomplishes three different things in a cluttered manner. We’re first introduced to a new character, teenager Liz Reynolds (Paula Irvine), who has a psychic connection to both our hero Mike (now played by James LeGros) and the sinister Tall Man. It’s a lazy crutch to get Liz up to speed with Phantasm’s events, and also to shortcut a bond with Mike before they meet in person. The psychic angle proves utterly pointless once the adventure begins, which is incredibly strange and disappointing because there are opportunities for it to play a far bigger role, especially in defeating the Tall Man. 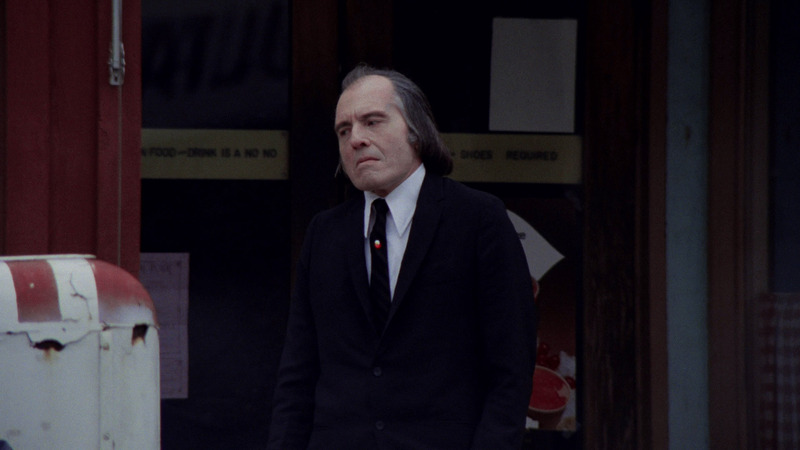 As if to appeal to those who didn’t see the original, Liz’s arc echoes that of Mike’s in Phantasm: she encounters the Tall Man after her grandad passes away, and attempts to fight him with the help of an older man, in this case a devout priest (Kenneth Tigar), who likewise suspects something weird’s happening. 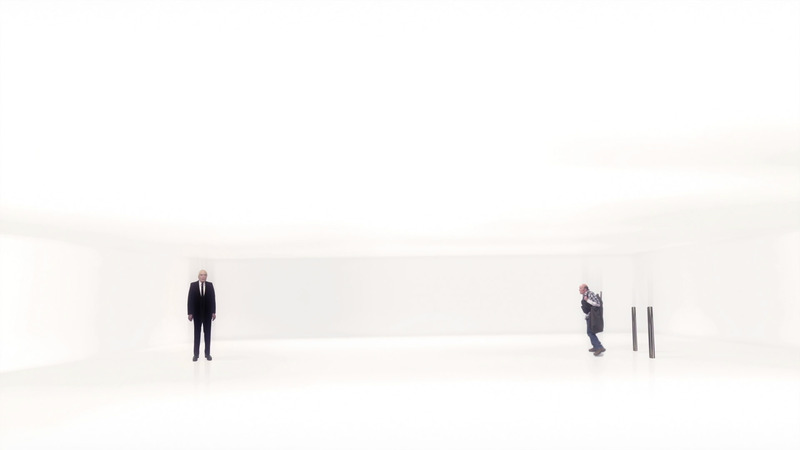 But for those au fait with Phantasm, we also get a more traditional sequel once Mike convinces Reggie they have to go after The Tall Man to end his diabolical scheme once and for all. Whatever that may be. And this leads into the road trip raised in conversation at the end of Phantasm, with Mike and Reggie cruising around Oregon armed with flame-throwers, a four-barrel shotgun, and chainsaws, following a trail of pillaged cemeteries and abandoned towns. Perhaps inspired by Evil Dead II (Coscarelli’s a close friend of Sam Raimi), Reggie also undergoes a bit of an overhaul to become an ordinary redneck type with a surprising aptitude for slaughtering supernatural entities with a large chainsaw. He just doesn’t get many funny one-liners, while Coscarelli’s camerawork can’t hold a candle to Raimi. The best thing about Phantasm II is seeing the Universal money get spent, which means it’s a more pleasing viewing experience. Coscarelli had the cash to expand on his strange ideas and develop a richer universe around them. Two buildings are blown up in quick succession, we get to see what the dwarves look like under their cost-cutting brown hoods, the flying metal balls get more elaborate kills (including a fantastic one where an orb burrows into a man’s body and drags him around from the inside), and n0w-famous FX gurus Greg Nicoterro and Robert Kurtzman create the gory makeup and puppets. Universal apparently ensured Coscarelli didn’t shoot dream sequences this time, so the movie is much less ambiguous about what’s real and what isn’t. And while that defeats what the franchise’s title promises, to an extent, in general I think a good balance was struck in terms of honouring what came before but in a more conventional way. Phantasm II is still a weird late-’80s movie made for a niche audience, but the story’s easier to follow and therefore more entertaining. While it suffers from many of the same problems the original wrestled with, Phantasm II is better made and far less bewildering, but equally as inventive and still off-kilter. Original stereo audio and 5.1 surround sound mix. Audio commentary with writer-director Don Coscarelli and actors Angus Scrimm & Reggie Bannister. 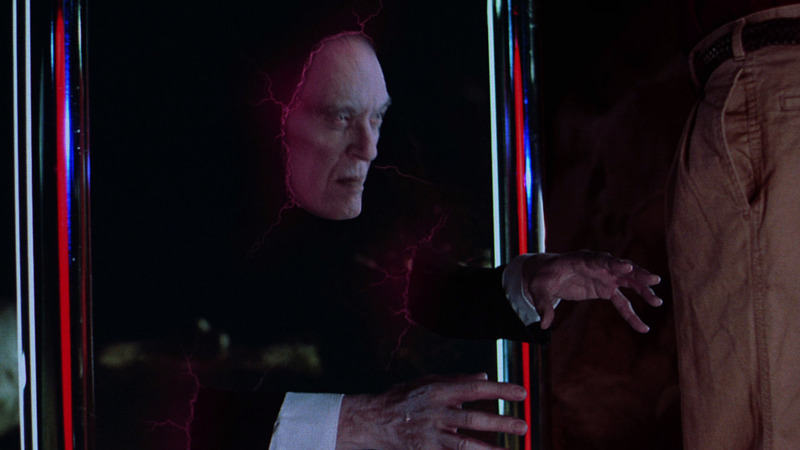 Reflections of Fear: Realising Phantasm II. In this new ‘pheaturette’, the cast and crew explain how a sequel got made, the evolution of the story, and the introduction of the most iconic props in the series. Featuring interviews with Don Coscarelli, Reggie Bannister, A. Michael Baldwin, special make-up artists Mark Shostrom and Dean Gates, and Ravager director David Hartman. The Ball is Back. Archive making-of documentary featuring interviews with Don Coscarelli, Angus Scrimm, Reggie Bannister and others. The Gory Days. FX artist Greg Nicotero looks back at his work on Phantasm II. Angus Scrimm’s Fangoria convention appearance. Angus Scrimm’s Fangoria TV Spot. Original Trailer & TV Spots. Six years later, Coscarelli returned to his beloved Phantasm sandpit. However, because the previous sequel underperformed and didn’t kickstart a mainstream horror franchise for Universal, Phantasm III: Lord of the Dead was sent direct-to-video. I was poised for this sequel to be stuck between a rock and a hard place, with Coscarelli trying to maintain the ambition of Phantasm II, but on a budget closer to what he had in the late-1970s, but that fear wasn’t realised. 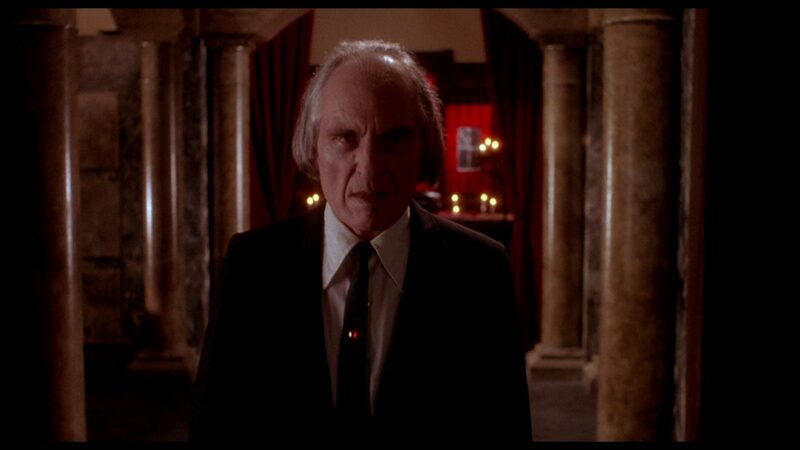 Phantasm III only cost $500,000 less than II, so there isn’t too much of a decline in production values. It was probably a very nice surprise for a rental, explaining why it became one of the most successful DTV movies of the mid-’90s. What seems to be a common thread with the Phantasm’s is how Coscarelli uses each instalment to expand and enrich the mythology, and in doing so create new avenues to explore. But Lord of the Dead is ultimately telling much the same story, using a different combination of archetypes. I’m fine with that, although it does mean the Phantasm saga grows less mysterious with age. I liked how Phantasm III explained the shock ending of its predecessor, by reprising that movie’s climax and adding just a few new shots to explain how The Tall Man “survived” his gruesome demise. 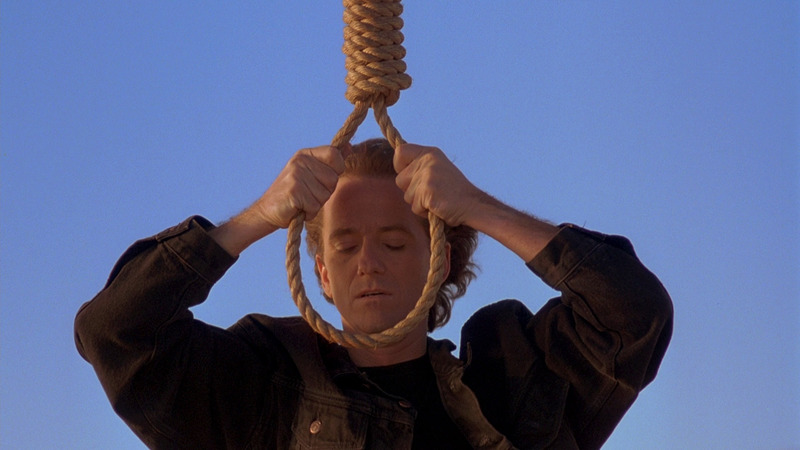 However, I was disappointed they killed Liz off in a car crash almost immediately, as her character now feels twice as pointless, but I’m sure Phantasm fans cheered to see A. Michael Baldwin back as Mike. I don’t think his more smouldering teen idol replacement, James LeGros, was that terrible in Phantasm II… but he was certainly bland and forgettable eye candy. Baldwin’s not much better in many ways, but he’s no heartthrob and somehow that suits these movies better. It’s about ordinary people fighting the extraordinary. There seems to be a lot of role rotation in the Phantasm’s. The plot here’s exactly the same as Phantasm II, only now Reggie’s trying to save Mike instead of Liz from the Tall Man’s clutches, and in so doing recruits new helpers during his road trip in his Barracuda muscle car. The first is a young boy called Tim (Kevin Connors), the only survivor of a town the Tall Man decimated, who’s introduced slaughtering three looters using lethal Home Alone-style traps and a razor-studded frisbee. The second is a fearsome nunchucks-wielding black woman called Rocky (Gloria Lynne Henry), who looks like a readymade action heroine… but who largely spends the movie giving randy Reggie the brush off. Both characters more comedic and the tone of the movie is more lighthearted than the previous instalments, but I don’t really have a problem with sequels finding different gears. Without much freshness in the storytelling (it continues the same mission from before), Coscarelli instead decides to deepen the Phantasm mythology — although it’s still very muddled and contradictory for my taste. The flying spherical balls had, by this point, become the franchise’s calling card, so they’re back en masse with deadlier new weaponry. We also learn that each one contains a transplanted dwarf brain and can also be used for reconnaissance with a protruding human eyeball. The comical nature of the lobotomised dwarves was also dealt with, as they’re less present after the opening sequence and effectively get replaced by three reanimated corpses. Mike’s importance to the Tall Man’s masterplan is also underlined (he’s being groomed as the villain’s replacement), which neatly explains why he’s never just been killed on sight, and this provokes even more questions. All are good changes and natural evolutions of ideas. 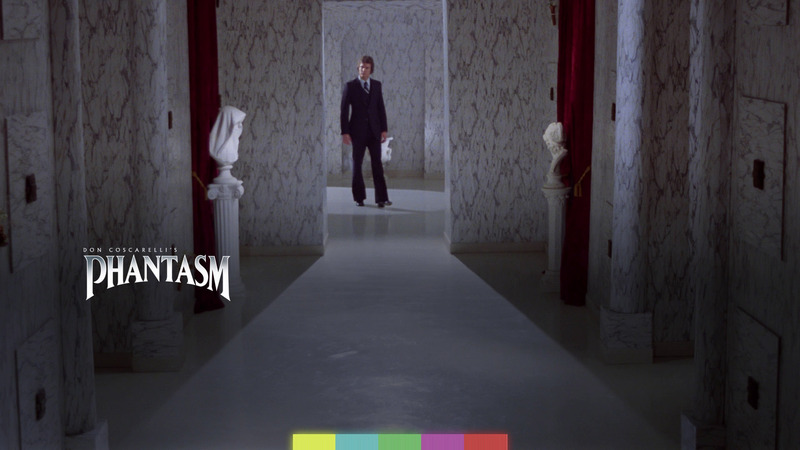 The Tall Man’s array of powers continue to grow, but a key weakness involving cold temperatures also become apparent — harkening back to a memorable moment from Phantasm involving an ice cream truck in a clever way. I only wish more of the changes and developments felt as logical, although part of the appeal with the Phantasm movies is how loose and random they are. You can’t quite pin them down, despite by-the-numbers plotting that always involves tracking the Tall Man down to his latest mausoleum. I just wish there was more focus in the areas that truly matter. 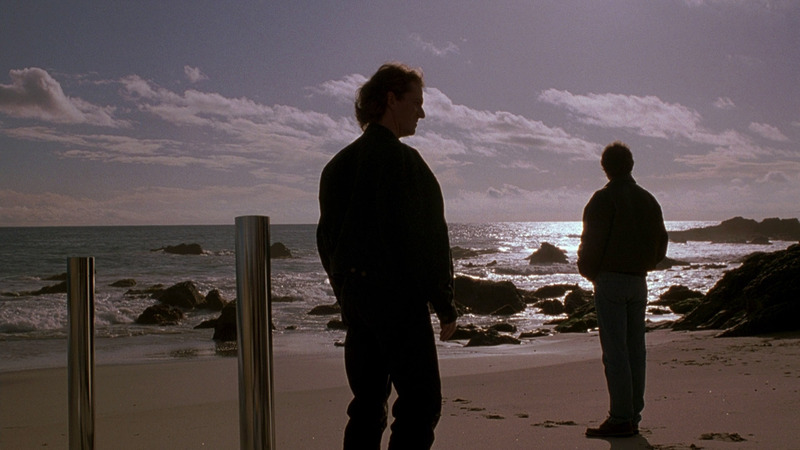 The decision to bring Mike’s dead brother Jody (Bill Thornbury) back is of questionable merit, because the dynamic between the Pearson brothers isn’t the same now Mike’s a grownup. And it only complicates matters, although the intention to expand the Phantasm mythos into bigger questions about the afterlife is a good direction to take. I just spent half the movie wondering why Jody’s sometimes a traditional ghost you can’t touch, sometimes a mystical presence in Reggie’s dreams, and sometimes trapped inside one of the Tall Man’s silver balls. Maybe firm answers are to yet come, but I’ve made peace with the fact the Phantasm saga likely won’t make sense. Original stereo audio & 5.1 surround sound audio mix. Audio commentary with actors A. Michael Baldwin & Angus Scrimm. 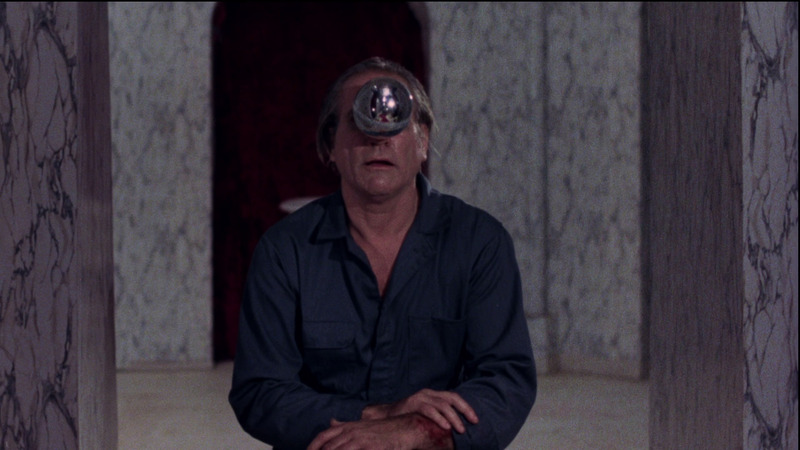 Reflections of Fear: Realising Phantasm III. In this new pheaturette, the cast and crew reflect on the third part of the Phantasm saga and the vast amount of make-up work used in the film. Features interviews actor A. Michael Baldwin, Ravager director David Hartman, and make-up artists Mark Shostrom and Dean Gates. Behind-the-scenes footage with optional audio commentary by Mark Shostrom & Dean Gates. My fears ahead of seeing Phantasm III were unfounded, perhaps the result of a prejudice over direct-to-video sequels, but the same can’t be said for Phantasm IV: Oblivion. The only clever thing about this Phantasm entry is how the word Oblivion contains the Roman numeral “IV”. It’s not entirely the fault of Don Coscarelli, who made this for a measly $650,000, which was less than many television episodes at the time. Phantasm had an even lower budget, of course, but now we’re three films and two decades into a horror-adventure story that suddenly can’t afford many sets! It’s not an enviable position to be in. I’ve been surprised by how much the preceding movies entertained me, despite their faults and limitations, but Oblivion is much harder to defend. It’s a terrible film. You get a bad feeling during the atrocious opening sequence, which recaps events in the style of a fanboy cobbling together their favourite Phantasm clips using iMovie. And while I sympathise with the headache of resolving a cliffhanger that featured a child actor who’d now be four years older, to retroactively erase Tim from the scene where Reggie’s pinned to a wall by dozens of metal balls was laughable. 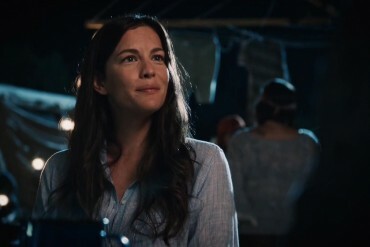 Why not just recast Tim and kill him, as they did Liz? It’s inexcusable. 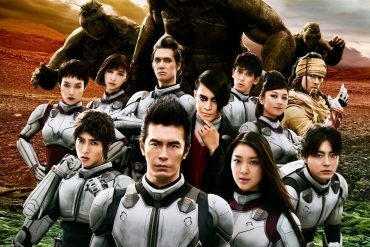 The background to Oblivion getting made is far more interesting than how the movie itself turned out. 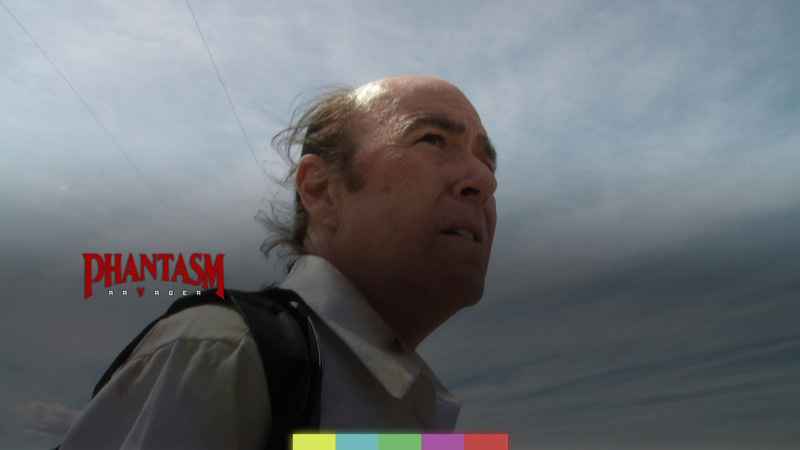 Already a huge fan of the series, Roger Avary (Pulp Fiction) was writing an epic post-apocalyptic conclusion to the saga, entitled Phantasm 1999 A.D. Getting an Oscar-winner like Avary aboard a Phantasm sequel in the late-’90s seems like a surefire way to generate interest and cash, but the project was delayed over financial concerns (Coscarelli wanted $5–8 million to do Avary’s premise justice), so he made Oblivion as a stopgap. Unfortunately, Oblivion’s so grim and dramatically inert that I’m sure any goodwill Avary’s retitled Phantasm’s End script had dissipated once Phantasm IV limped onto VHS in 1998. The frustrating thing about Oblivion is suffering all the cost-cutting measures, like the frequent flashbacks to previous movies and how numerous deleted scenes from Phantasm get repurposed. To be fair, there are a few instances when this self-plagiarism works quite nicely, because it’s certainly unusual for a movie to have flashbacks starring the same actors two decades apart in the same narrative. But for the most part, it just seems like what it is: a way to fill time and save cash. But save it for what? A few cheap thrills in a nighttime desert towards the end? Oblivion is ridiculously underpowered. If you’re a fan of the series (and who rented Phantasm IV who wasn’t in ‘98? ), then Oblivion at least manages to answer some questions. I appreciated that, despite how the enigma of The Tall Man is being eroded over time — especially once Mike’s uses the “dimensional forks” to travel back in time to the Civil War and witnesses The Tall Man’s mortal origin. Still, maybe it’s churlish to complain about Coscarelli answering questions when I spent Oblivion desperate for clarity over Mike’s ghostly brother Jody. 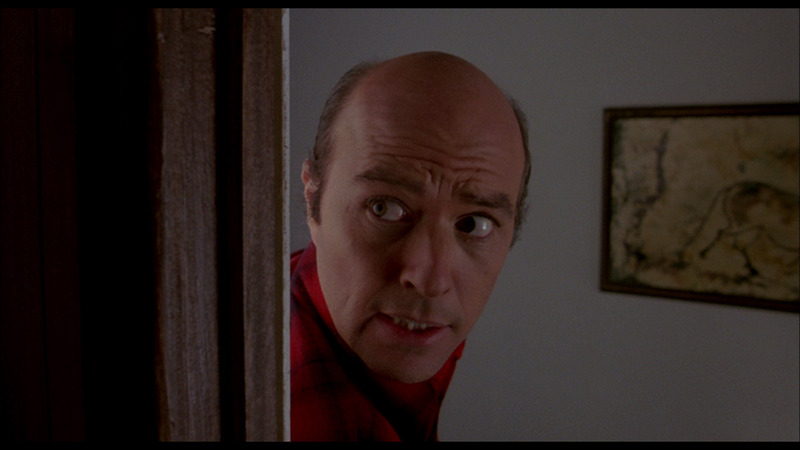 It was unclear what Jody’s return was trying to achieve in Phantasm III, but things only get more confusing in Oblivion and I’ve lost now the thread on his slippery character. Worse, I’ve lost whatever fragile affection Phantasm I-III had stirred in me. 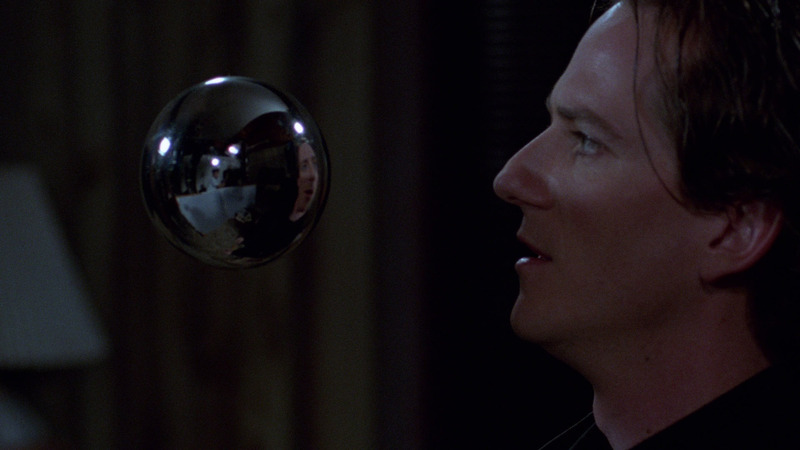 Reflections of Fear: Realising Phantasm IV. In this new pheaturette, the cast and crew reflect on how the fourth Phantasm film evolved and their personal relationship with The Tall Man, Angus Scrimm. Features interviews with director Don Coscarelli, actor A. Michael Baldwin, special make-up artists Mark Shostrom & Dean Gates, and Ravager director David Hartman. Oblivion should’ve lived up to its name and destroyed the future of this franchise, such was its wretchedness, but Phantasm got a chance to redeem itself and conclude the story 18 years later. 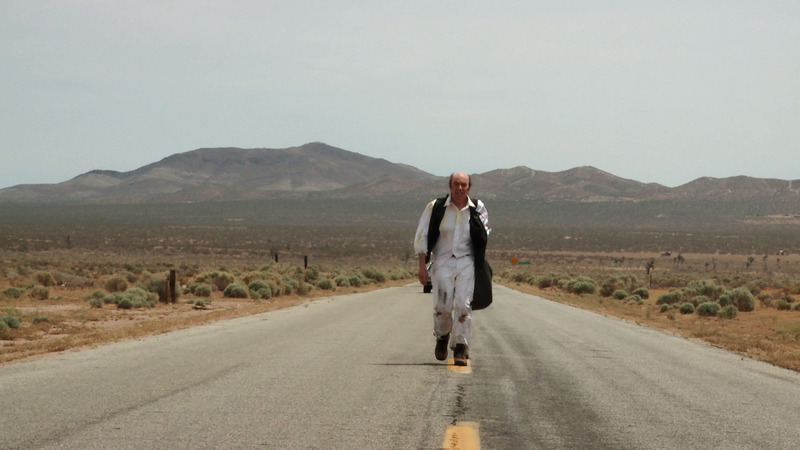 Although finally released in summer 2016, shooting technically began a full decade before, with Coscarelli and protege David Hartman making “Phantasm shorts” in the California desert with Reggie Bannister. They were originally intended to become bonus material accompanying any future Phantasm re-release, although assembling them into a web-series was later considered, before Coscarelli opted to simply expand the footage into a canonical Phantasm V with Hartman stepping into his shoes as director. 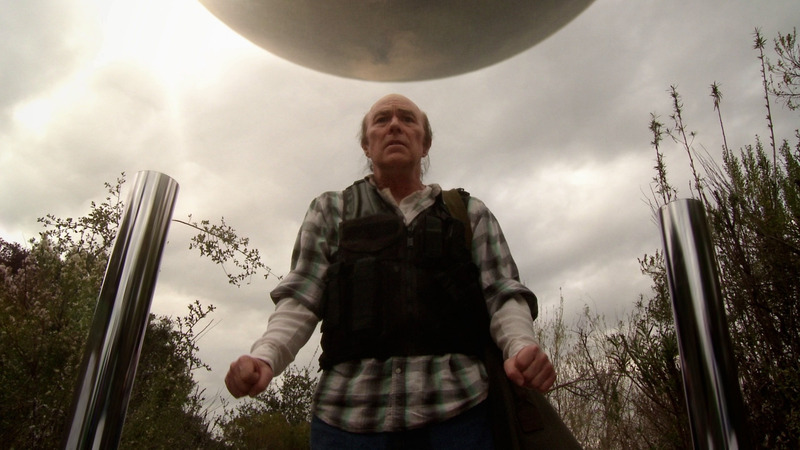 Ironically, Phantasm: Ravager was made for $300,000 (the same budget as the first movie), but is considerably more ambitious in scale and scope than the doubly expensive Oblivion. But while the digital age worked in this final chapter’s favour (high-def cameras and CG effects has become cheaper and easier to work with than in the late-’90s), Ravager’s digital photography makes it look like a student film shot on a HD camcorder. It never shakes the feeling of being a cheesy Syfy Original Movie spoof of Phantasm, sans much comedy, but there’s enough weirdness and chintzy charm to please longtime fans. I’m not sure if Ravager was directly inspired by Roger Avary’s unmade script Phantasm’s End, but it does touch on the post-apocalyptic element we know Avary was going for. In the first act, this feels very much like an extension of Oblivion, with Reggie still wandering the desert looking for Mike, but audiences are kept guessing about the nature of what they’re seeing because Reggie occasionally “wakes up” inside a residential care home for the elderly, suffering from dementia. But is this just an illusion of the Tall Man’s doing? Having our hero start to doubt his sanity offers more human drama than usual, whole Reggie flitting between different “realities” also puts a literal spin on the definition of the word ‘phantasm’. Unfortunately, the script doesn’t have a firm enough grip on anything. Reggie’s predicament is something new to explore, but at a certain point I’m not sure anyone knew what was going on. The interminable search for Mike and the emotional reunions between Reggie, Mike and Jody had also lapsed into parody by now. The only moments where Ravager seems to work is when it’s adding silly additions to the mythos (like a giant sphere that can obliterate buildings), referencing previous events as fan-service, or when events reach a climactic confrontation with The Tall Man set in an appropriately ravaged digital landscape. You just have to ignore how the big effects moments look like something from a Playstation 2 Phantasm video game. 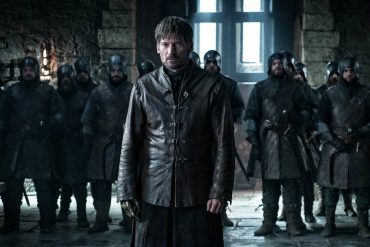 It’s also unfortunate that a truly satisfying ending never arrives that justifies the 37 years fans have invested in this single ongoing story. I’d only invested a couple of weeks, and even I was annoyed by how open-ended things felt. 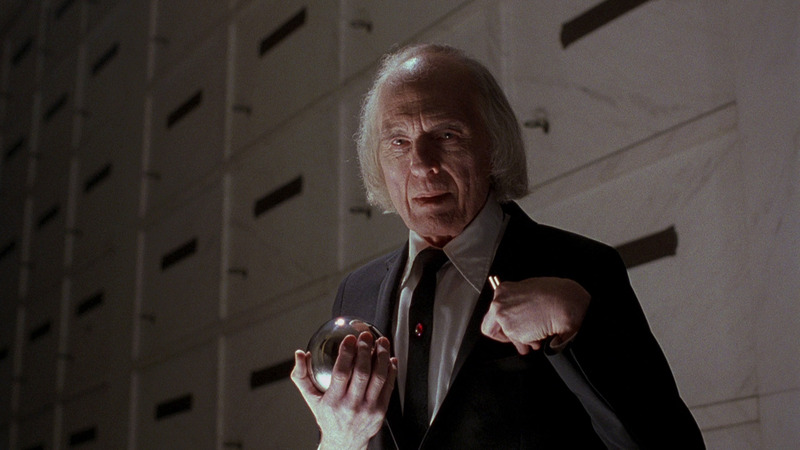 Angus Scrimm was an octogenarian by now, so his appearances are greatly reduced, which probably didn’t help in their efforts to create something as memorable as Phantasm II’s ending. There are also shots where it looks like The Tall Man’s face was digitally augmented (perhaps to hide Scrimm’s age), or when it seems like another actor was asked to stand in shadow wearing a rubber Scrimm mask. It’s all very odd. Exclusive introduction(s!) by director David Hartman. The Los Angeles Premiere Experience. Join the audience of die-hard phans as they experience Phantasm: Ravager for the first time! Watch the entire feature with a 5.1 surround audience track recorded at the 2016 Los Angeles premiere. As before, this is a great idea more films should take advantage of. Audio commentary with director David Hartman & writer-producer Don Coscarelli. Reflections of Fear — Realising Phantasm: Ravager. New ‘pheaturette’ looking at the final chapter in the Phantasm saga, featuring interviews with actors A. Michael Baldwin, Reggie Bannister, Kathy Lester, Daniel Schweiger, and director David Hartman. Q&A panel from the 2016 Austin Premiere. Deleted scenes with optional audio commentary. Phantasm and You. A light-hearted recap of the Phantasm franchise by David Hartman. Phantasmagoria. 97-minute long documentary covering the making of Phantasm I-IV, which pulls from many of each disc’s separate ‘making of’ featurettes. Very entertaining and illuminating, but a shame this documentary doesn’t now encompass the final movie. Phantasmagorical Mystery Tour. Location tour hosted by actor Reggie Bannister. Tall Tales. 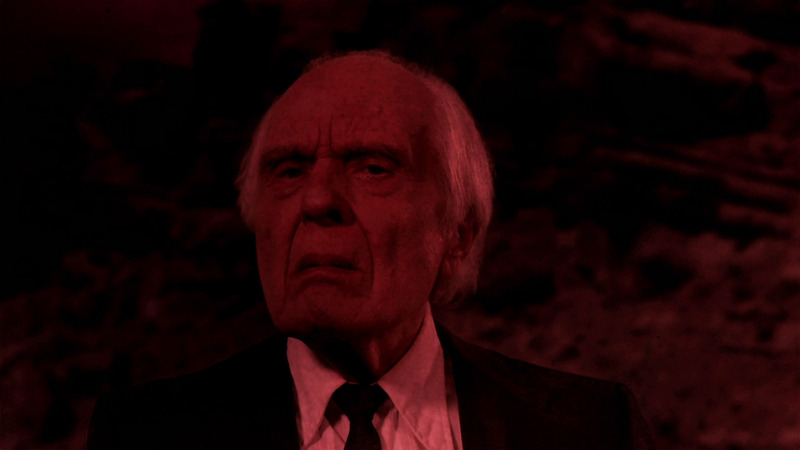 In this newly-edited featurette comprised of largely unseen footage from Phantasmagoria, Angus Scrimm discusses his portrayal of the iconic Tall Man throughout the franchise. Dear Angus. A tribute to Angus Scrimm by long-time friend and collaborator Kristen Deem. Set to a strumming guitar that recalls Reggie’s favourite pastime, this is a heartfelt audio tribute by Deem (credited as Scrimm’s first female fan, after writing to him aged 14). She formed a decades long friendship with her screen hero during the ’80s, and their frequent correspondence led to her becoming a publicist, storyboard artist, then script supervisor on three Phantasm sequels. Some of Deem’s encouraging letters from Scrimm are also shown. 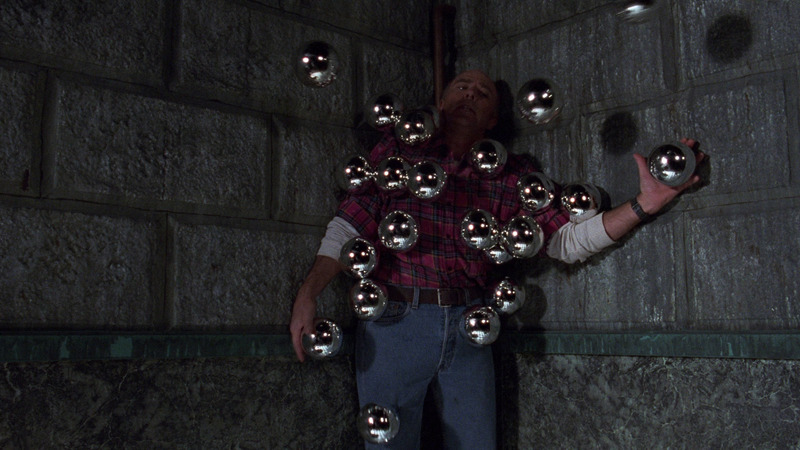 Phantasm: Genesis. Featurette looking at some of the key stunt sequences from the series. Phandom. A featurette about the so-called ‘phans’ of this saga, who have supported Coscarelli’s vision over the years. Includes video footage from the many conventions and the actors offering their thoughts on the support they’ve received. I now understand why Phantasm became a cult favourite. The first movie was doing something very different to the norm, and in many ways is an overlooked bridge between the low-budget, gritty horrors of the 1970s (The Exorcist, The Texas Chain Saw Massacre) and the more elaborate, imaginative 1980s (A Nightmare on Elm Street, Hellraiser). It also helps that it’s a true underdog story, both onscreen and off. 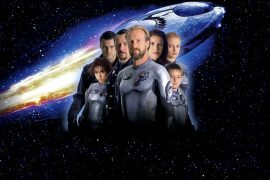 The original was effectively something family and friends made together during weekends, over a two year period, and it probably astonished everyone when it went on to gross $12 million at the US box office. The first few sequels were more expensive “studio pictures”, but they retained a homemade flavour, and Coscarelli was always very loyal to his “original team”, while also making the small but passionate fanbase feel like they were part of Phantasm’s extended family. Heck, even a Fangoria critic who broke from the pack to give Phantasm III a positive review got to appear in Ravager. 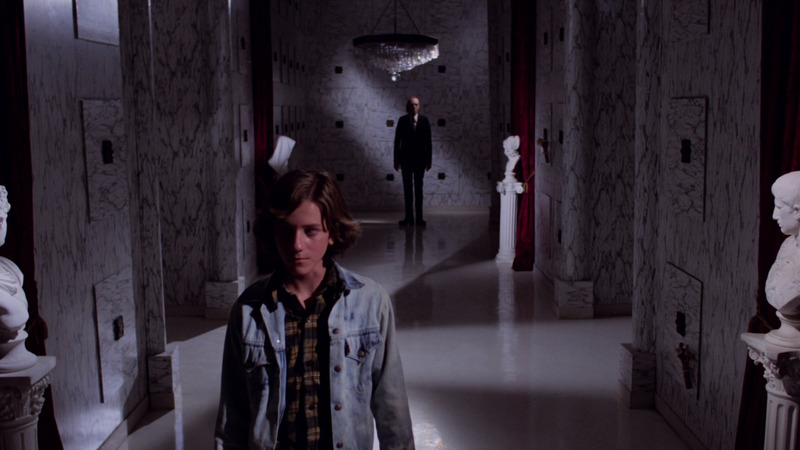 By the time the sequels had become cheap direct-to-video releases preaching to the choir, Phantasm had by necessity gone full circle by enlisting family, friends, and now fans, to keep the story going. 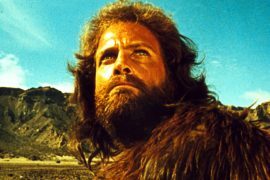 The movies tailed off in terms of quality and artistic necessity, but what binds these fives movies together is a feeling that nobody stopped caring. They didn’t keep making these movies because there were particularly successful (that ship sailed with the ticket sales for Phantasm II), but because they genuinely liked doing them, and the small but loyal fanbase enjoyed watching whatever madness got cooked up. It wasn’t always accomplished material, but the movies always came from the heart.